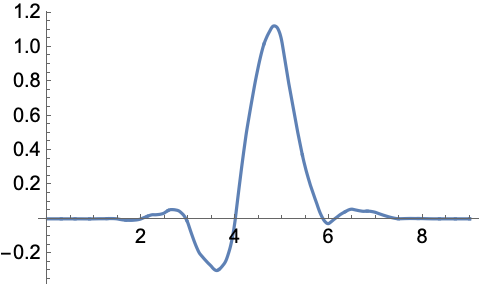 gives the scaling function for the symbolic wavelet wave evaluated at x.
gives the scaling function as a pure function. 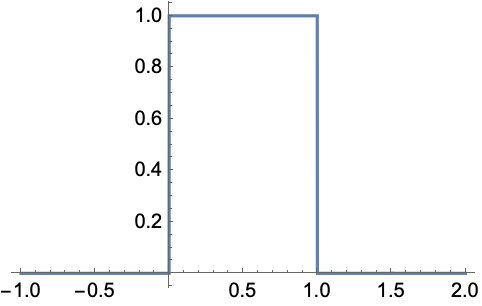 The scaling function satisfies the recursion equation , where are the lowpass filter coefficients. WaveletPhi[wave,x,"Dual"] gives the dual scaling function for biorthogonal wavelets such as BiorthogonalSplineWavelet and ReverseBiorthogonalSplineWavelet. The dual scaling function satisfies the recursion equation , where are the dual lowpass filter coefficients.